Are the pretty tourist attractions and fancy restaurants of Gujarat too mainstream for you? Are you looking for an extreme form of adventure to set your heart racing? Well, then these haunted places in Gujarat ought to be on your list when you visit this otherwise gorgeous state in Western India. Let’s see if you are brave enough to venture into the most terrifying spots in Gujarat that locals flee from post sunset. Most of what we know about these hauntings have come through third person word of mouth. Why don’t you venture into these eerie arenas and see for yourself how true the stories are? If you manage to come back in one piece, don’t forget to tell us what you experienced down there! 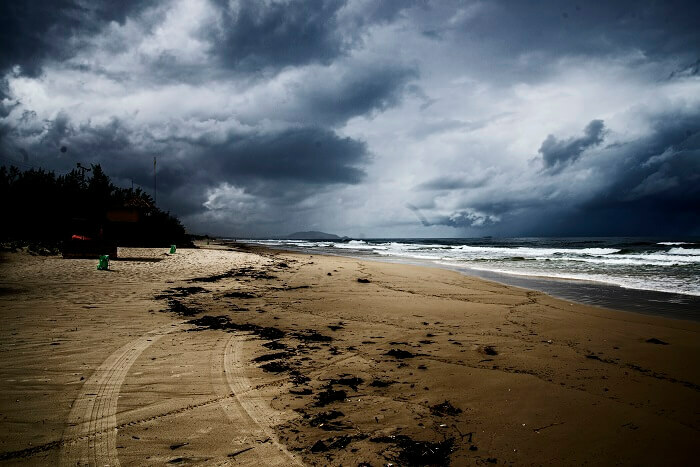 Ranked at number one of the most haunted places in Gujarat, the Dumas Beach is not a place for the faint-hearted. Located about 21 km southwest of the bustling city of Surat, the beach is frequented by college students and thrill enthusiasts who like to mess with the laws of nature. Other than the smooth black sand and the clear beach waters, the beach is famous for its mysterious past. The locals believe that this beach was the site of an ancient Hindu cremation ground. In fact, they say that the black sand of the beach owes its colour to the ash produced from the cremation that got mixed with the sand. 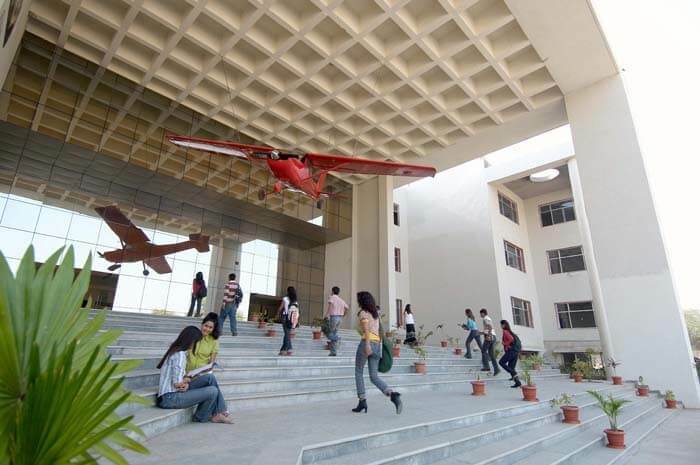 The Gujarat Technological University happens to be the most prestigious universities in Gujarat. Though it’s surprising that a busy and packed place like this could be haunted, the fact that it still is scares people to their bones. The University employees, students, and even locals believe that the GTU is haunted by the spirit of a woman who constantly makes her presence felt, even during busy campus hours. The Haunting: People travelling in the elevators have reported that they could sense the presence of another person right next to them. Many students and employees have reported that doors and windows open and close by themselves and the furniture is often thrown around by an unseen force. The ghost of that unknown woman is believed to be responsible for all mishaps, making the campus one of the most haunted places in Gujarat. 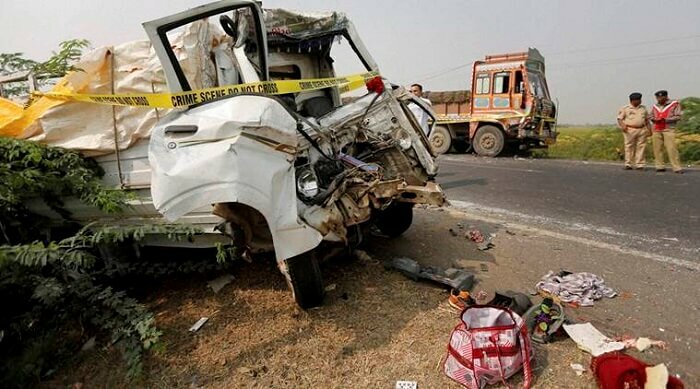 A relatively small area on the NH-8A that connects Ahmedabad and Rajkot, it’s starting to get big attention due to the rising number of mishaps and accidents reported here. The incidences on this stretch are so high that people have started to believe that paranormal forces are behind it. Locals were initially under the impression that most mishaps on this route occur because the drivers of the vehicles doze off mid-ride. But they were wrong! The Haunting: The stretch between Bagodara and Limdi is believed to be haunted by the restless spirit of a woman who enjoys diverting the attention of drivers, causing accidents or even leading them to their death. Many drivers claim that this place is eerily silent and send chills down their spine. Many night-time drivers have also spotted women or beggars on the roadside who vanish when the car gets close. 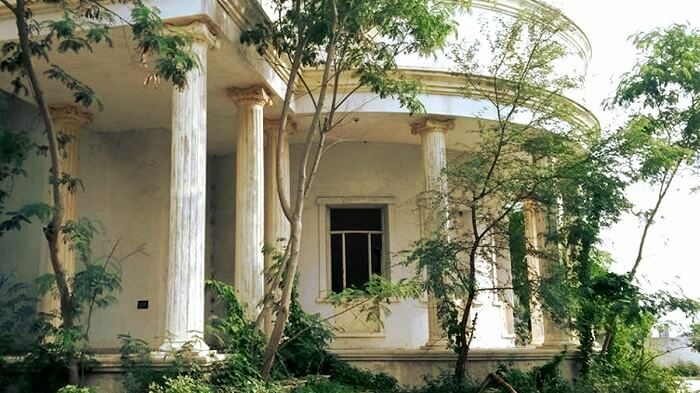 An otherwise modern looking abode, Signature Farms near Ahmedabad is among the 10 most haunted places in Gujarat. The lack of any human presence or absence of mobile signals in the vicinity is just some of the factors that spook people out. There are secrets buried in this building that make it a very scary place to visit, even during daytime. The Haunting: The place has many broken sculptures and statues, which appear to have been sliced in half, including a statue of Buddha. Post sunset, people have heard sounds of horses galloping in their direction. The locals say that the place was the center of a mass massacre long back, and those massacred villagers are now believed to roam the area at night. The well-known Avadh Palace is a large mansion and no one is sure who really owns it. 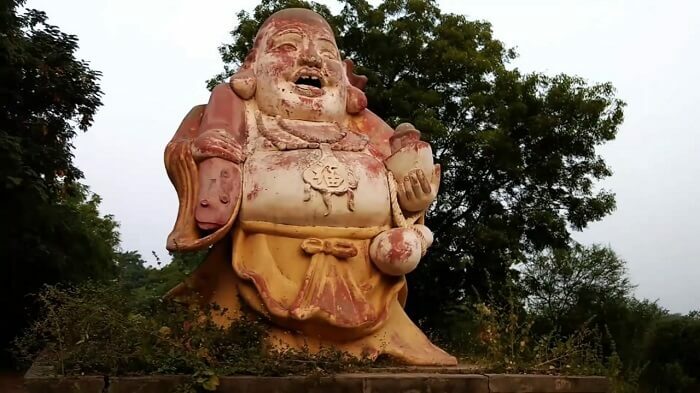 It remains unoccupied and locals do not venture anywhere near it for the most brutal and upsetting of reasons that makes this place one of the top 10 most haunted places in Gujarat. The Haunting: Locals convey that a girl was gang-raped, murdered, and burnt in this building long ago. To this day, her vengeful spirit is believed to haunt this huge mansion and terrorize anyone who dares enter it. No one visits this place once the sun sets, be it alone or with a company. 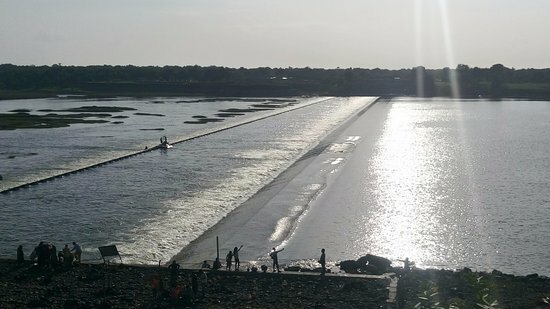 A tiny hamlet near Vadodara, Sindhrot has a beautiful dam that is a famous evening spot for the youth owing to the peace and fresh breeze they find here. But despite the serenity and tourism essence, this place is among the most haunted places in Vadodara Gujarat. The Haunting: Locals often report sighting a girl wearing a traditional Indian salwar-kameez-dupatta, but with a half face! Horrifying, right? They say she asks people to go back the way they came and warns them against entering the village with girls. सबसे छोटी प्रजाति के बंदर का जोड़ा अब इंदौर के चिड़ियाघर में!